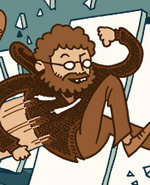 Our pals at Diamond Comic Distributors are hosting an exclusive ten pages of the upcoming third book in Jeffrey Brown's SULK series of mini-graphic-novels: The Kind of Strength That Comes From Madness!!! 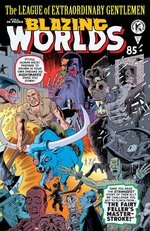 Check out those never-before-seen pages, as well as a generous sampling of Sulk 1 (Bighead and Friends) and Sulk 2 (Deadly Awesome)! Talk to your retailer now about Sulk 3 (in Previews now) and get ready to dive into Jeffrey's fevered imagination when the book arrives this October! 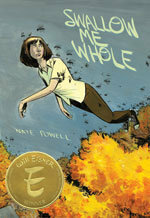 SAN DIEGO - Top Shelf Productions announces with pride that Nate Powell's book Swallow Me Whole has won the Will Eisner Award for Best New Graphic Novel. Swallow Me Whole, released in November 2008, is a tender coming-of-age story that explores the dark corners of adolescence and mental illness, as seen through the eyes of two stepsiblings. 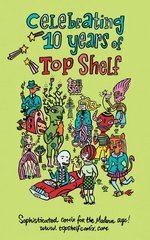 It is Nate Powell's first full-length book with Top Shelf, following the earlier short collection Please Release. 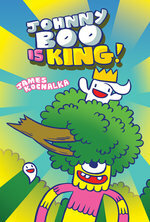 Top Shelf Productions and Sprite Animation Studios team up to bring beloved graphic novel character to life. SAN DIEGO, July 9th, 2009 – Owly, the kindhearted star of the award-winning graphic novel series by Andy Runton, will come to life in an animated short at the San Diego Comic-Con on July 23-26. It was jointly announced today by Chris Staros, Publisher of Top Shelf Productions and Junichi Yanagihara, Executive Producer at Sprite Animation Studios that the loveable Owly and his unlikely best friend Wormy will be animated in a brand-new original segment directed by Moto Sakakibara and storyboarded by creator Andy Runton. Prominently featured will be Runton’s innovative “Pictomation,” a storytelling device in which the characters’ thoughts and feelings are animated with iconic and expressive images rather than dialogue, enabling fans of all ages, languages, and backgrounds to enjoy the show. Superhero Hype and ComingSoon.net have the exclusive first look at the new poster for Touchstone Pictures' film adaption of The Surrogates by Robert Venditti and Brett Weldele! Click here for the full-size view (featuring star Bruce Willis in all his goateed glory), and make your plans now for the movie's September 25 debut! 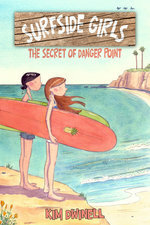 Kevin Cannon's rip-roaring sea adventure FAR ARDEN is shaping up to be quite the buzzed-about debut! 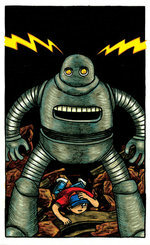 Recently Kevin talked with The Comics Reporter, Tom Spurgeon, for a terrific interview about his career so far and the experience of creating Far Arden. Check it out here! Also, don't miss this comprehensive list of sound effects used in Far Arden, as assembled by Kevin's studio partner and not-brother, Zander Cannon! Find your favorites -- me, I can't decide between THROW UP A LITTLE IN MOUTH and MID-AIR GROIN GRINDER! 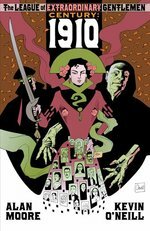 Diamond Comic Distributors has released its sales charts for the month of May, and sitting on top of the graphic novel chart is none other than The League of Extraordinary Gentlemen: Century 1910 by Alan Moore & Kevin O'Neill! 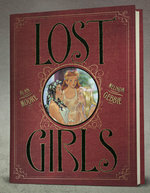 Apparently the long-awaited new League story sold over four times the volume of the next nearest book. 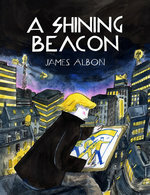 Hats off once again to Alan and Kevin for crafting a fantastic comic and inspiring such enthusiastic fans! 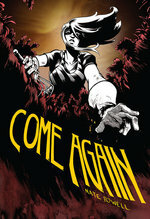 And thanks to retailers for supporting us so strongly with this title, and to all the fans for picking it up. Viva la League! 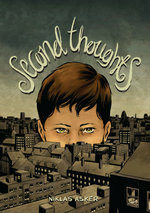 One of our favorite Canadians, Essex County creator Jeff Lemire, is featured today by CBC Radio's Canada Reads Book Club! 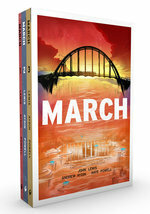 Host Hannah Sung talked with Jeff to get his list of favorite graphic novels, and the Book Club is also running a contest to win a pack of signed Jeff Lemire books! Head over to the site and check it out! 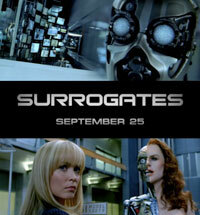 Top Shelf is pleased to announce that the buzz-building for September's SURROGATES film has begun in earnest! Last night, movie audiences nationwide saw the debut of the official Surrogates trailer, attached to select reels of Terminator: Salvation. 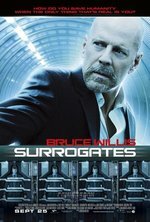 Based on the graphic novel The Surrogates by Robert Venditti and Brett Weldele, the upcoming Surrogates film stars Bruce Willis, Ving Rhames, Radha Mitchell, and Rosamund Pike and debuts from Touchstone Pictures on September 25! For more movie coolness, check out the Virtual Self Industries web site at ChooseYourSurrogate.com. This is it! 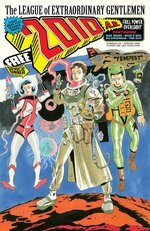 After years of anticipation, the first League of Extraordinary Gentlemen story published by Top Shelf and Knockabout is in stores nationwide. 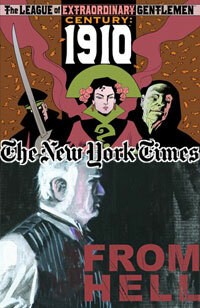 The third volume of The League of Extraordinary Gentlemen, titled Century, will be composed of three 80-page graphic novels, and the first, "1910," is now available! The gang's all here: writer Alan Moore, artist Kevin O'Neill, colorist Ben Dimagmaliw, and letterer Todd Klein. For more details and a 9-page preview, click here, or check out our review database to see what the critics are saying about the new League! Back in November 2007, on the occasion of Top Shelf's 10th Anniversary, writer Quinn Johnson conducted an expansive interview with Top Shelf head honchos Chris Staros and Brett Warnock. Unfortunately, the intended publication that was to print the interview went under before this conversation could see the light of day. Now, at long last, we bring you the full text of that very honest and in-depth chat about Top Shelf's history, philosophy, and future! Click "more" to continue! 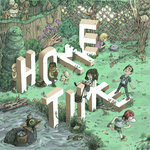 Team Top Shelf has spent the past weekend in Stockholm, Sweden, at the Swedish SPX! Head honchos Chris Staros and Brett Warnock brought along special guest Jeffrey Brown, whose landmark graphic novel Clumsy has just been published in Swedish by our pals at Galago. Our pals at Publishers Weekly just published a great new article exploring the burgeoning relationship between Top Shelf and the alternative comics community in Sweden! The first product of that relationship, Niklas Asker's multi-layered romance Second Thoughts, just arrived from the printer and looks gorgeous! It should be in stores soon. 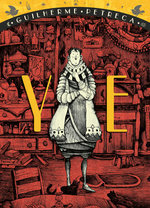 Down the road in 2010, look for two new releases that have been big hits in Sweden, translated into English for the first time and published by Top Shelf: The 120 Days of Simon by Simon Gärdenfors and Hey Princess by Mats Jonsson! 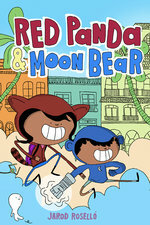 We're all very excited to be bringing these amazing books to English-language readers.